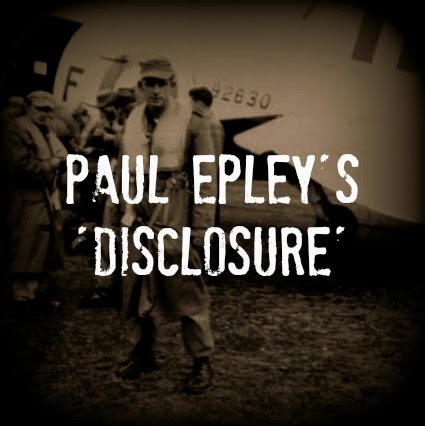 In 2010 a retired U.S. Army veteran name Paul Epley made a 'deathbed confession.' This disclosure included several supposed covert operations and classified incidents that he claimed to be involved with. Epley served in the U.S. Army from 1948 to 1955. He was a master sergeant, a first sergeant, a company commander and worked for the government. Because of his clandestine assignments, the government/military refused to acknowledge his service and denied him benefits even after 21 legal appeals were made by his attorneys. No matter what steps he took, his records and benefits were denied until 50 years after the end of the Korean War which was in 2003. His disclosure is an incredible revelation, if true. This part of Paul’s story has haunted him since the Korean War ended in 1953. Since then, he has nightly nightmares, suffers from Post Traumatic Stress Disorder and must take medication to help calm his nerves. A simple 18-year-old country boy from North Carolina wasn’t prepared for what he got into when he joined the U.S. Army. During basic training, he severely broke his ankle and was going to be discharged. Paul, however, wanted to be a soldier and pleaded to remain in the service. The military agreed to let him stay and do only light duties - with one condition. He had to do anything he was asked without question. That agreement pretty much destroyed his life. When the Korean War was ending, the United States didn’t want the North Koreans, the ones who had helped the U.S. during the war, to return to their homes. There was concern they would reveal U.S. intelligence information to the North Korean government/military. The solution was to assassinate the Korean allies and make it look like they’d died in combat. Time and time again, he carried out assassination orders. Typically, he was told a “prisoner of war” was escaping and to shoot him dead, roll him in a trench and then toss in a grenade so it would look like a combat death. Within a two or three week period, he also was taught to fly a plane – but not how to land it. His mission was to crash a plane into a desolate island and bail out before impact. When he went to the back of the plane to jump, he saw bound Koreans in the cargo section including two women. Yes, Paul says, the crash was to make their deaths look accidental. I agree with Lon on the Epley disclosure. The story just did not sound or feel truthful. 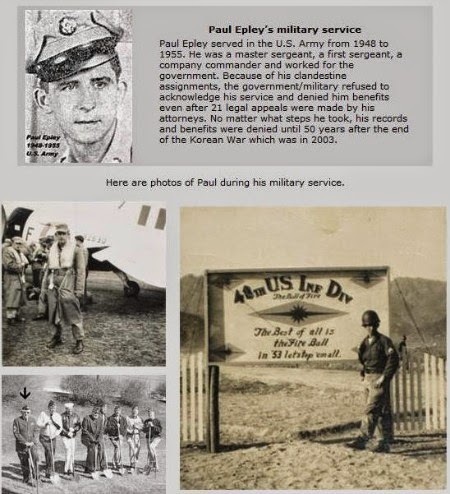 The first thing that gave me pause was the fact that Epley was in the military for at most 7 years. The "resume" of his ranks and jobs is questionable. First Sergeant is not a rank. It is a job description. The order to do anything asked without question does not make sense. The medical discharge does not add up. If he were injured bad enough he would have been discharged period! The army would not keep someone and give them "light duty" especially during a war. Being an assassin is far from light duty. I do not think one could beg to get a deferment from a medical discharge. Another thing that stuck out in my mind was the plane with the "bound" Koreans in the cargo area. How would a group of bound dead people look like an accidental death? One look at a woman with her feet and/or hands tied and it would rule out an accident which would defeat the entire purpose of the flight. Also, the MLK story does not sound right. Why would the government call in a 7 years experienced "retiree" after a 12 year absence from the service? Also, this would not be a direct military project but instead the CIA would likely handle something as sensitive as the MLK assassination. It would certainly NOT be handled by two active duty colonels. These are just a few of the things that stood out to me and there are more details that are highly questionable. I feel like the story is a deliberate hoax perpetrated by somebody along the way. I'm on the fence on this one. It sounds possibly believable in some areas. Not so much so in others. I'd like to think a man with the kind of history he's lived would finally want to be honest and forthcoming to the public. But I just don't know...On the other hand, why would he make all these things up, what kind of attention does a dying man in his eighties really want? I'm just not seeing what kind of payout this deathbed confession would make for him or his entire family. Same reason why a lot of people today don't want to come forward with their encounters/stories, afraid of nothing but ridicule everywhere. Though this guy's, Epley, story might not be true, you can bet that other disclosure stories are, like most of Dulce.